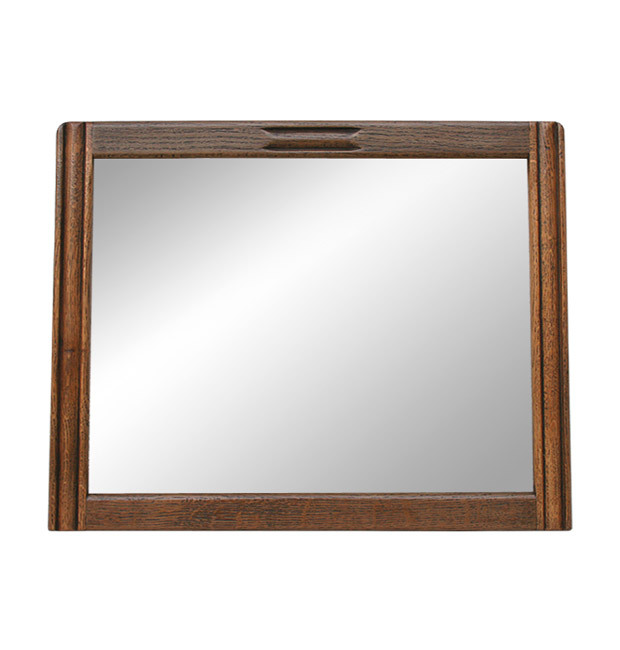 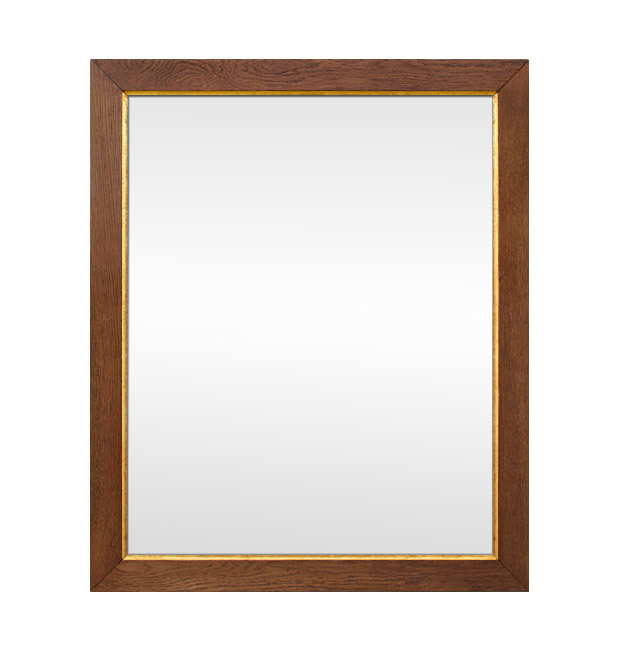 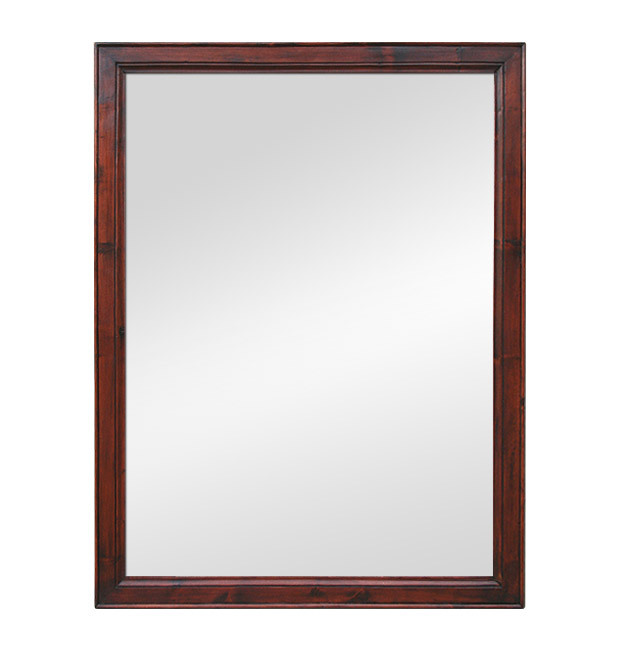 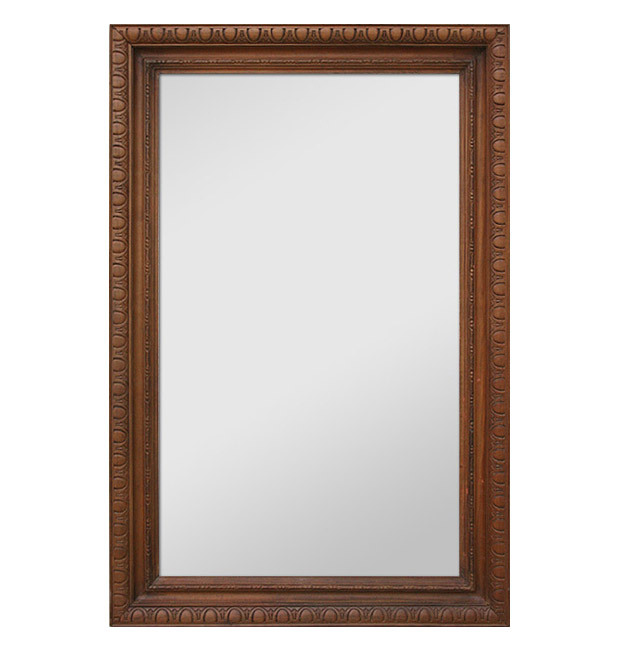 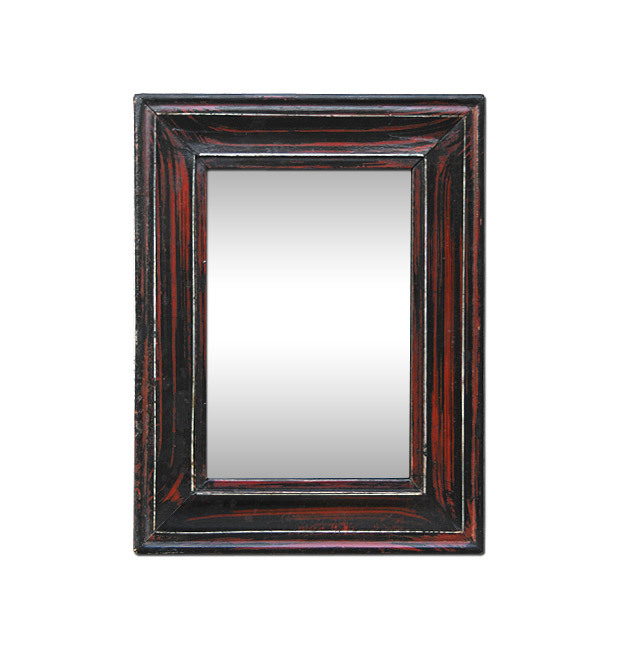 Browse our suggestions of antique wood mirrors. 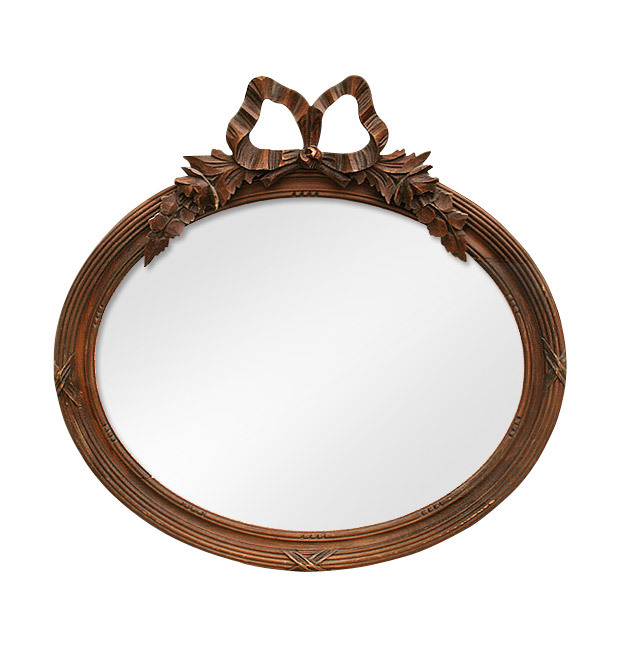 Antique oval mirror with pediment with ribbon decor. 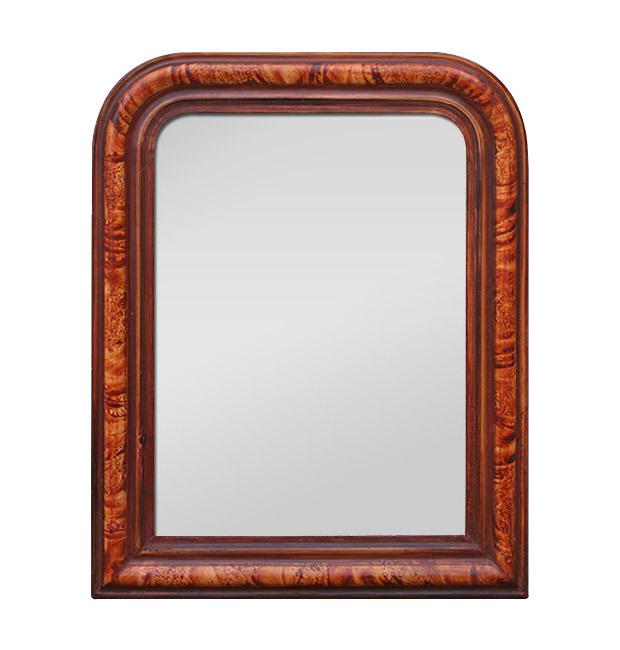 Carved wood, stained wood of origin.